Dr Gilbert ZAKINE is a MD, PhD, with a private activity in Paris. 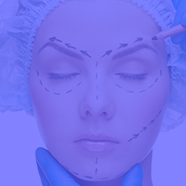 He has been head of a department of Plastic Reconstructive and Aesthetic Surgery and Burn Unit. He is a Past Clinical Chief-Assistant and Past Intern of Paris Hospitals. He wines the Gold Medal of Surgery of Paris Hospitals and a Price of the National French Academy of Surgery in 1999. His others diploma are : a Master of Sciences of Paris University (1998), the French Diploma of Burn Treatment (1997), the French Diploma of Microsurgery (1998) and the French Diploma of Hand Surgery (2000). Dr Gilbert ZAKINE wrote many papers and has given more than 300 international scientific lectures. His clinical lectures are on the following subjects: Gluteal lipofilling; body-contouring surgery after massive weight loss; ethnic considerations in rhinoplasty; mastopexy augmentation; breast reduction in gigantomastia; dermal substitutes in burn surgery. Enhancement of skin and tissular healing is one of his main domains of research. 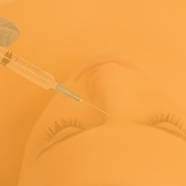 What's hot in fat grafting and PRP? Augmentation mastopexy: how to choose the technique?